There will be laughs aplenty on Norfolk Island in August 2019 when the Melbourne International Comedy Festival Roadshow rolls into town. The Unique Tourism Collection has secured a wonderful deal with the Melbourne International Comedy Festival to present this brilliantly funny annual event which draws people from all over Australia and New Zealand to the host cities and towns on the Festival’s annual calendar. 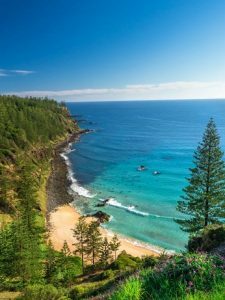 Norfolk Island is one of the specially selected locations to host this fabulous Roadshow which is happening after the curtains close on the 2019 Festival in Melbourne in April. The Festival’s most loved and laughed at comedians from Australia, New Zealand and beyond will pack their bags and head off on the Roadshow home-delivering hot and tasty comedic treats right around Australia, including five who will join all the fun and partying on Norfolk Island on the weekend of 2 to 5 August. Stay tuned for the final line-up of artists! The Melbourne International Comedy Festival will also be conducting a ‘Class Clowns’ comedy workshop for secondary school students during their stay. 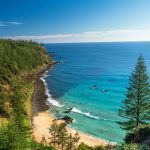 The laughs will be on Norfolk Island – a must do for anyone who enjoys a fun, frivolous and fantastic time and the best of the best of sketch, stand-up, satire, silliness and song.